Fuller's Earth is a clay mined from the earth's crust that typically contains a complex of minerals, including quartz, silica, iron, calcite and dolomite. At one time, this material was used in apothecaries in compounding pills. Because this material is highly absorbent, it is used to spot "dry clean" fabrics and is an ingredient in dry shampoos. Fuller's earth is also combined with other botanicals to make herbal body powders and facial masks. cosmetic Use to make body powders, dry shampoos facial masks and herbal body packs. industrial Used in the spa and cosmetic industries. It is also a component of some cat litters. In the motion picture industry fuller's earth was once used as "dusting" to give rooms a more authentic Old West, or even battlefield appearance. It is also used heavily by the special effects and make-up departments as a dirt substitute. 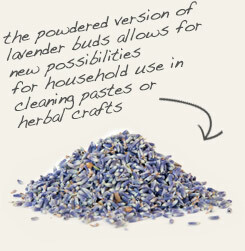 Mix with lavender flower powder in cosmetic formulas. 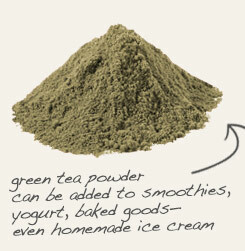 Combine with powdered green tea in facial masks and body packs. 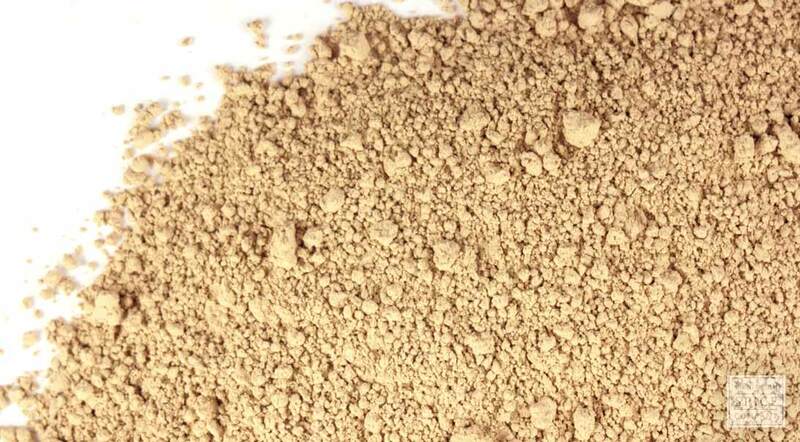 Fuller’s earth, also known as fuller’s clay, is a natural compound mined from the earth’s crust that is chemically referred to as magnesium aluminum silicate. As the latter suggests, the material consists of a variety of minerals and salts. Because it is highly absorbent, it is used to make facial masks and body packs to draw out impurities. It is also an ingredient in cat litter and automotive products formulated to soak up oil spills. The name “fuller” is not a surname but an antiquated term for workers who once used the powder to absorb excess oil (lanolin) while handling sheep’s wool. Background: Fullers earth is a type of clay that has many uses. It has properties that allow it to absorb oil. This has made it useful in industry where it's been used to soak up automotive oil and grease. It's also been used as a component of cat litter. The name of fullers earth comes from the people who were the first to capitalize on its use. Laborers who processed wool used it to soak up the oil from the sheep. These workers were called "fullers" and that's where the clay gets its name. Description: Fullers earth is a mineral clay that's found abundantly in the world.